What’s the stupidest thing you’ve ever forgotten when going out to play a show? Your strap? Spare strings? Your guitar? We’ve been there, done that. And it hurts. There’s nothing worse than getting set for an important gig, going through weeks of painstaking rehearsals to get all your moves and solos sorted, only for some stupid little technical issue to ruin the day at the last minute. Because there’s no denying it: showing up to play lead guitar for your band without actually having your guitar with you can make you look a little bit foolish. And that might sound stupid (how could a guitarist forget his or her guitar, for crying out loud? 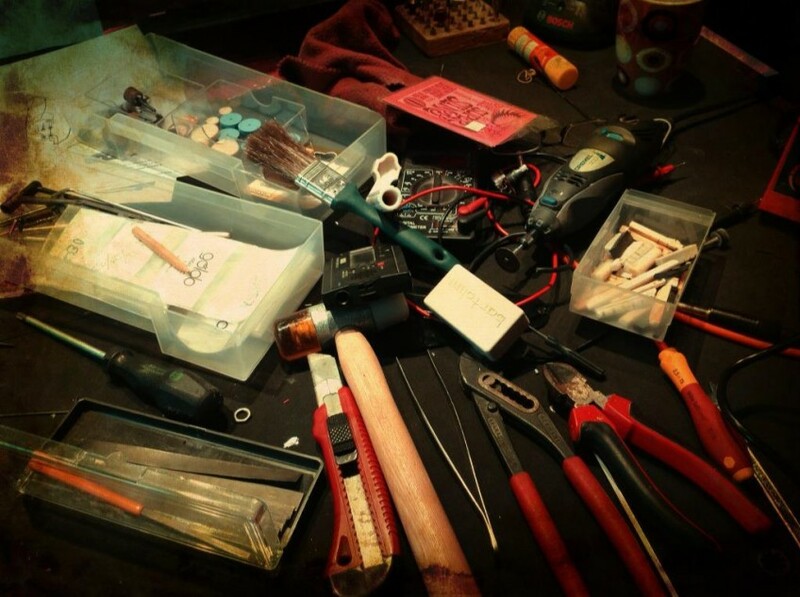 ), but there’s plenty of things that happen on show days – usually normal, everyday things like work and family – that can cause you to lose track of what’s in your gig bag. Air guitar might be totally awesome, but without your axe at a real gig, you have failed step one of the whole ‘rock the stage’ thing. Yes, you might be able to borrow someone else’s, but it won’t be the same, you won’t be used to it, and it probably won’t match your ‘cool’ show shirt. So be careful. And take a spare, or spares, with you if necessary. Things can go wrong: strings break, intonation goes out on a hot stage, rowdy crowds throw beer on you. Or at you, if you’re really bad. If you’re not someone who fancies quickly changing strings between songs, then, and you don’t have a roadie, bring an extra guitar with you. Even if you have three guitars with you, it’s always worth bringing the kit you’d need to fettle your six-string into shape at the last minute. You can never be too careful. 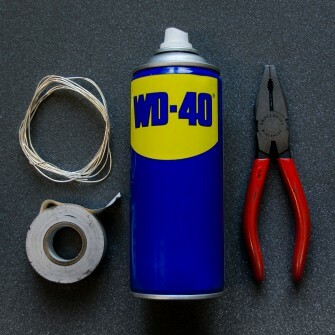 That could mean Allen/hex keys, a Leatherman Multi-Tool, pliers, a screwdriver, string cutters, contact cleaning spray for scratchy pots, some trusty WD-40, or similar. That guitar strap we mentioned earlier? Bring one. In fact, bring more than one: bring one for every guitar, and a spare. The same goes for all the other little bits of gear you could need – or that could break – just before or during a show: strings, slides, picks, cables, etc. 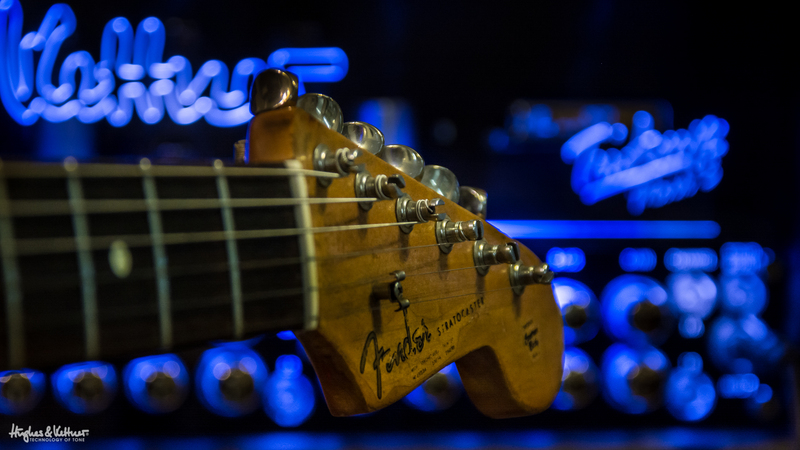 Of course, if you’re a diligent guitarist (the kind we describe just here, in fact) you’ll have changed your strings before the show, but if they’re going to break anywhere, it’s right in the middle of that all-important first tune onstage. They do call it Sod’s law for a reason. At this point, it’s also worth shouting from the rooftops: bring a tuner! A good one, too – there’s no point not spending good money on this crucial part of every live musician’s setup, whether you go down the pedal or headstock clip-on route (and don’t forget spare batteries! Read on for more on that front). There’s just no excuse for not being in tune. 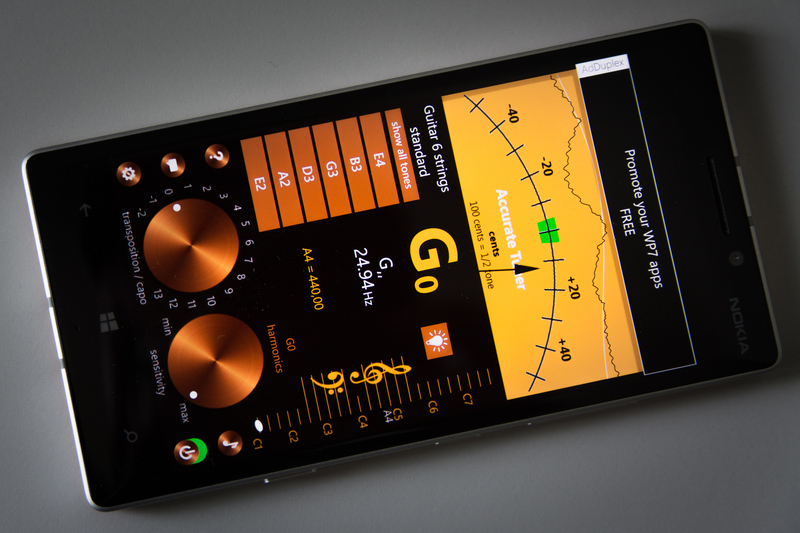 Tuners are even available as free apps these days, so there really is no reason why you shouldn’t have at least one of them with you wherever you go! We’re always going on about amps, and we’ve written loads of articles about how to get them sounding great onstage (here and here, for example), but you should still have backup plans should something go wrong. That might mean carrying a spare with you: lots of guys we know carry a lunchbox amp as a reserve for their main squeeze – they’re light, compact, easy to transport, and with miking or direct DI outputs they’re certainly more than loud enough too. If you’re a head/cab person, it depends on you as to whether you take your favorite cab to shows, or whether you use what’s there. Call ahead and see, but our advice would be to always have whatever you need with you to make sure you can play the show without any external help. It’s not easy to fix up a broken amp or tube on the fly, but if yours doesn’t have a tube-saving system like TSC on board, things like spare tubes should go on the road with you, especially if you’re playing a run of shows away from home – but again, not that you’re going to want to whip out tubes during a gig! That’s something for your tech the next day. Just a small selection of the tools you might need with you to fix your guitar on the fly. We’re always hopeful nothing will go wrong on stage, but, as those of you who’ve played gigs will know, you can never be sure. One thing to consider if you’re brave: a digital modeler with cab emulation. It’s certainly a way to go without actually having an amp onstage – if you dare, of course. Power. Guitarists need juice. If you’re running a pedal board – or if your guitar has active pickups – you’ll need to bring spare batteries with you. If all you need is electricity, carry spare mains adapters, as you never know how many sockets will be available come the show. Gaffa tape. Have rolls of the stuff with you, as it’s useful for all sorts of things – marking your sweet spot on stage (read more about that here), making a makeshift pick holder, taping down cables out front, fixing wardrobe malfunctions (really! ), sticking FX pedals to boards, etc. Light. Stages are dark places, so use your smartphone’s built-in light, if it has one, or bring a flashlight with you. 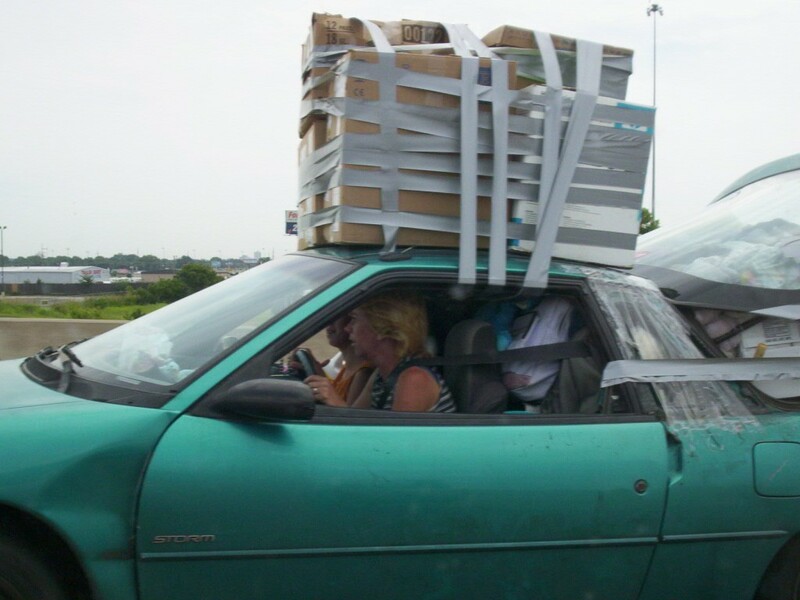 Not one of gaffa tape’s finest moments, this – well, technically this is duct tape, but the point stands! – but it goes to show how versatile a solution sticky tape can be! Writing a last-minute setlist, selling merch or getting names for your band’s mailing list? Well then, you’ll need paper and pens. Magic markers, sharpies and notepads should be in every gig bag, as you never know when you’ll need them. If singing is part of your job, we recommend you have your own mic with you. Some house mics we’ve seen are just… Eurgh. And one last one thing. If you don’t want to end up deaf, or your drummer talks too much, bring earplugs. Not rock ‘n’ roll, maybe, but you’ll thank us later when you can still hear and all your bandmates have gone deaf. So there you have it, your ultimate rock on stage gear checklist. Seems like a lot of stuff, doesn’t it? Well, it is, but live music is exciting, spontaneous and unpredictable. And that’s why we love it, but we’ve also got to be ready to make sure the show can go on, whatever happens on stage. Perhaps this is another argument for slimming down our rigs to the bare essentials – because the more gear you have, the more that can go wrong, and the more backup kit you need to carry round with you. First published: May 08 2015. Most recent update: May 08 2015. Great tip Mike, thanks for sharing! We’ll have to add this to the list next time we update it, for sure 🙂 Thanks for reading, and keep on enjoying the Blog Of Tone! Yes I would also really appreciate a PDF check list, Thank you. Great article on live performance and live auditions. I’ve been there & done that many times and I whole hardily agree to everything you recommended to any one going through this process. Richard from the BOYZ IN BLUES. This is a great checklist of stuff to bring with to gigs. The other guitarist in my band is always forgetting things, and I’m the one who has to bail him out every time, so I always bring spares. Any chance you could make a printable PDF list for this?